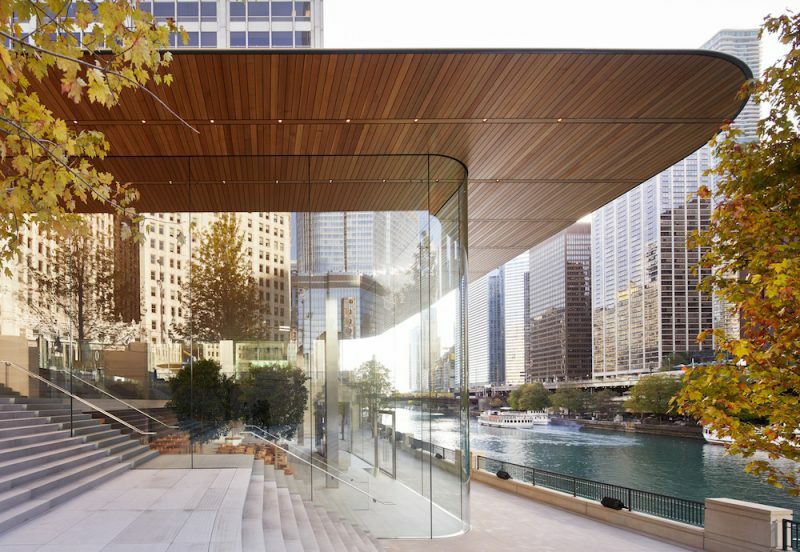 Apple on Tuesday announced it is working to bring coding opportunities to almost half a million students in the city of Chicago, through an expansion of the company's Everyone Can Code program. The Swift-centered coding initiative has been designed in collaboration with the Mayor's Office of Chicago, Chicago Public Schools, City Colleges of Chicago, local businesses and non-profit organizations. "At Apple we believe coding is an essential skill, so we've designed Everyone Can Code to give everyone the power to learn, write and teach coding," said Tim Cook, Apple's CEO. "We're thrilled to be working with our friends and partners in the great city of Chicago on this initiative. Together with Mayor Emanuel, Chicago Public Schools and City Colleges, we look forward to helping students learn Swift and build the skills they need to thrive in today's workplace." 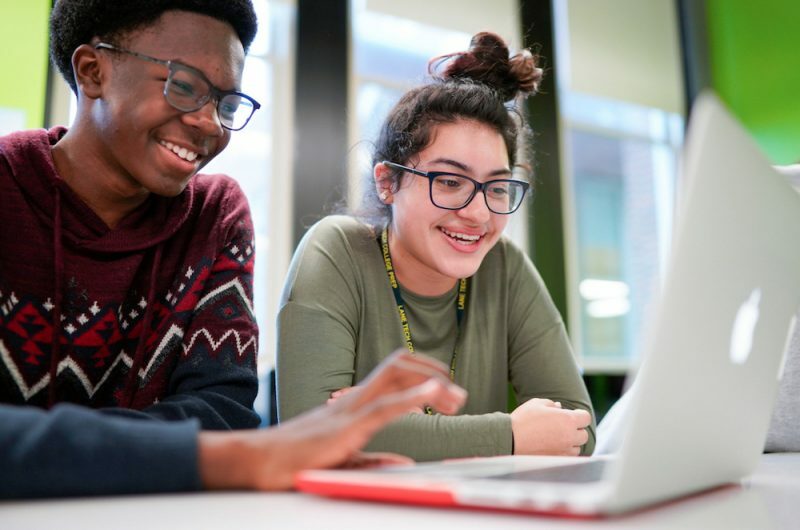 Starting in the spring, Chicago Public Schools and City Colleges of Chicago will expand their Everyone Can Code curriculum and materials, while City Colleges of Chicago will offer the the App Development with Swift curriculum for the first time, helping students build skills around coding and app development. Chicago Public Schools will also offer new Swift Coding Clubs, according to Apple, bringing coding education to after-school programs. The clubs aim to guide students through key coding concepts, introduce them to Swift and walk them through an app design and prototyping project. Several businesses operating in the area will also be making volunteer opportunities available for their Chicago-based employees to help support students. Companies include GE Transportation, IBM, Jellyvision, Lextech, McDonald's, Rush University Medical Center, Ulta Beauty, and United Airlines. "Coding is not just a critical skill in today's economy, it is another outlet for students to expand their horizons and explore their creativity," said Chicago Mayor Rahm Emanuel. "Everyone Can Code is an incredible opportunity for young people across Chicago to learn the language of the future, sharpen their minds and develop the skill sets needed to compete and win in the 21st century." Over the last two years, Apple has promoted its Swift programming language as ideal for anyone who is keen to code but has no previous computing experience. In 2016, it released Swift Playgrounds, an app aimed at teaching both children and adults how to code through simple interactive coding exercises, which is meant to make learning to code "easy and fun" for everyone. I'm a 3rd year computer science student and now know java and c++ and have now started dipping my toes into swift. I would recommend students learn java or a c language first. Swift is almost too dumbed down as far as syntax goes so you'll have a hard time going from swift to a c language. When you go from a c language to swift you understand what shortcuts swift is taking for you/what it's doing in the background that you don't have to code. Can't say the same about going from swift to any c language or java. I disagree! I am an EE and I think you need to learn assembly code in order to understand C in order to understand Swift! Gawd, what I wouldn't have done for an onscreen source code editor in computing class, instead of spending all night at the computing center reformatting punch cards. But green screens were a luxury reserved for upperclassmen. I ended up buying a old semi-working punch machine from the Duke University Surplus department, so I could do minor fixes in my off campus apartment. On thread: it's good to see school kids encouraged to learn coding. So you're nitpicking on syntax? Swift can do way more than serve as a replacement for Basic to learn programming. Just because it looks like a kid language on the very top surface doesn't mean it can't handle all the advanced features covered by other languages, such as functional programming and protocol-oriented programming. C is a great foundation to build from but it can create habits that will cripple your productivity in object-oriented languages. Swift is most emphatically *not* a "dumbed down" programming language. I'm not sure where this is coming from but it needs to stop. Sorry ment syntax lenient. You're correct about swift functionality being awsome. With swift even though the language is dumbed down, Its still really hard because if all the gui event handlers and all that. Well, sure, if you're not going to get the *real* experience by wire wrapping your own CPU out of TTL logic.